With five luxurious suites and three comfortable rooms, the spacious inn at Youngberg Hill Vineyards & Inn in McMinnville can set the stage for a quiet escape or a joyful group gathering. Sitting on the patio on a Sunday afternoon, a glass of pinot noir at your elbow, you drink in the view of autumn color in the vineyards. You’re considering buying a bottle of this fine wine, or maybe a whole case. Somewhere in the back of your mind, you might even be pondering a career change; “winemaker” has a nice ring to it. The last thing you’re thinking about is leaving this lovely spot, this perfect afternoon, this memory-making moment. Wouldn’t it be great if you didn’t have to? While not every vineyard in Oregon has the facilities to let you stay the night and weigh your inspired thinking, some do. 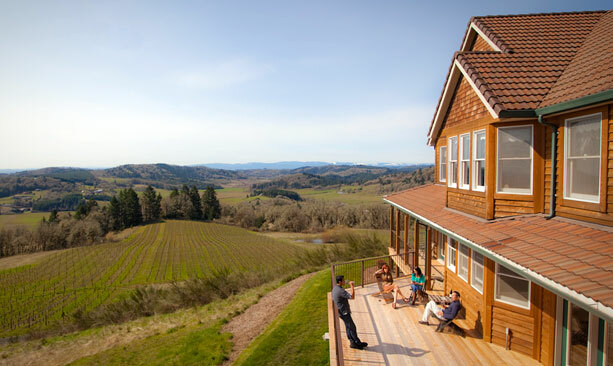 These fine Oregon wineries invite you to kick back and stay awhile. 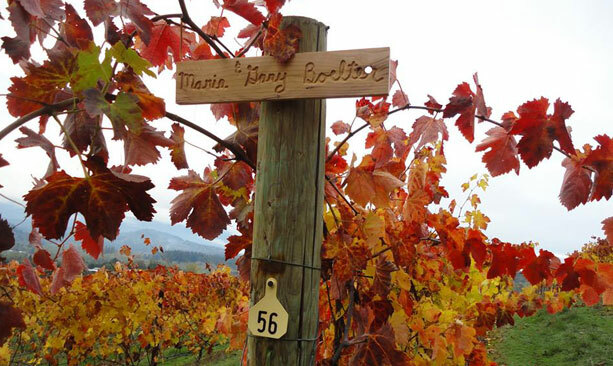 The guest cottage at Delfino Vineyards in Roseburg is a quiet retreat set on a 160-acre farm and vineyard. Enjoy a bottle of tempranillo upon your arrival and settle in for a relaxing stay. Choose from a breakfast basket delivered to your room or a pantry-style breakfast prepared to order. Take in views of the Callahan Ridge Mountains, soak in the hot tub and plan your exploration of Umpqua Valley wine country. Tucked away in the Rogue Valley, Foris Vineyards in Cave Junction offers three different lodging options — the Johnson House (a 1908 ranch house set on 112 acres of vineyards), the intimate, open-beamed Weaving Studio, which opens onto a burbling creek, and the Wilderness Cottage. All are located close to the tasting room, where you can try everything from cabernet franc and syrah port to pinot gris and riesling. Wine Country Farm in the northern Willamette Valley town of Dayton gives a warm welcome with its 1910 estate house. With sweeping views of the valley and the Dundee Hills, this working vineyard and Arabian horse farm is the perfect setting for a wedding or a romantic getaway. Stroll the gardens, take a horseback ride through the vineyards and enjoy wines from the second-oldest planting in the Red Hills of Dundee. 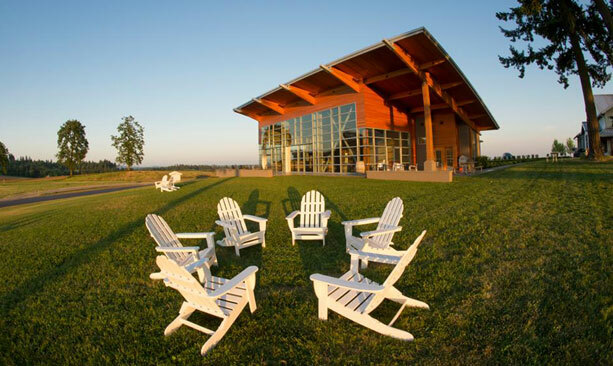 Also in the Dundee Hills near Dayton, Stoller Family Estate, home to the largest contiguous vineyard in the Willamette Valley, offers a newly renovated, three-bedroom, two-bathroom farmhouse just a stone’s throw from the tasting room and the first LEED Gold Certified Winery in the world. Walk through the vineyards and enjoy a taste of estate-grown pinot noir, chardonnay, tempranillo, syrah and more. With five luxurious suites and three comfortable rooms, the spacious inn at Youngberg Hill Vineyards & Inn in McMinnville can set the stage for a quiet escape or a joyful group gathering. Gourmet breakfast, in-room fireplaces and complimentary wine tastings accompany every reservation. Take in the beauty of the Coast Range from the expansive deck. 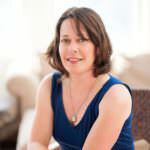 The organic pinot noir, pinot gris and pinot blanc produced here are LIVE and Salmon Safe certified.